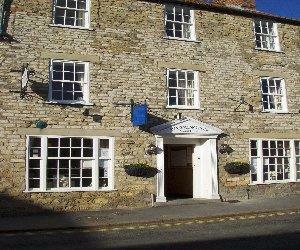 Warrington Guest House Guest HouseWarrington Guest House is located in the beautiful village of Thornton Le Dale. Set in the heart of this stunning picturesque village on the southern edge of the North York Moors. A warm welcome is assured at this family-run guesthouse, formerly a coaching inn. Situated in this award-winning village. Warrington Guest House sometimes limits bookings to 2 or more days. Children are accepted from 1 year. Family Suite sometimes limits bookings to 2 or more days. Exit A64 Malton bypass onto A169 northbound. Follow signs for Pickering. At Pickering roundabout, turn right, A170 Scarborough. Thornton Dale next village, 2 miles away. Once in Thornton come down the hill, to a crossroads, turn left into Whitbygate, Warrington Guest House 20 yards up on the left. Parking out on front or ask for details of car park - at rear. From Malton Station busses run regularly or take the A169 north to Pickering. At roundabout turn right onto A170 east towards Scarborough. Thornton le Dale is 2 miles. On entering village, travel 500yds to crossroads, turn left towards Whitby, guesthouse is 20yds on left. We were made to feel very welcome. The room was comfortable and the full English breakfast delicious.We will certainly staying again.